I Am Mike D: No Diving! 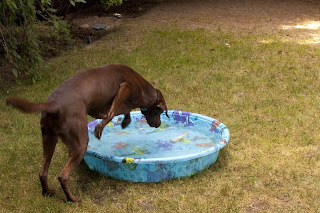 It was pretty warm yesterday and we couldn't go to the park, so we set the kiddie-pool out for the beast. He likes it.